These past few weeks I've been physically restraining myself from buying anything, even if they were on 20% or even 30% off, safe in the knowledge that very soon EVERYTHING will be heavily discounted. It was worth the the wait, there are some great sale bargains this year, though obviously it's important to get hold of them before they sell out, which quite frankly is what the internet is for, right? First off, Oasis, I know I swore off this store, claiming it was for much younger women than myself, but I've spotted a few key pieces that are an utter bargain. 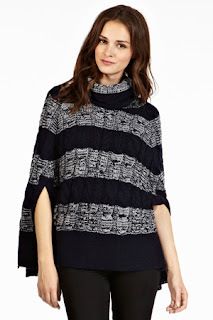 I like this cape top (£15), still not sure if it's a bit ultra sloany, or even tasteless, but since I work from home now and hate having the heating on, it will be warm and I think it will be great over skinny black jeans. Great value as it was £55. Speaking of skinny jeans, I do love Oasis denim, though in recent times the denim has become a bit thinner than it used to be. But at £15 you can't go wrong with this pair (were £48). I kind of size up with skinny jeans, even though wearing my true size would be more flattering, there has to be a comfort factor too. I also spotted a couple of utter bargain tops that are more "throw on" for an instantly updated look, and could be worn for any day (and gets great reviews). 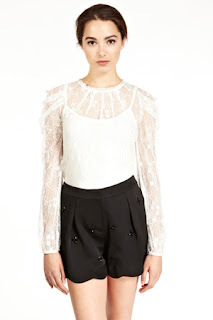 I like this Victoriana top, (also comes in other colours, but I prefer the white. 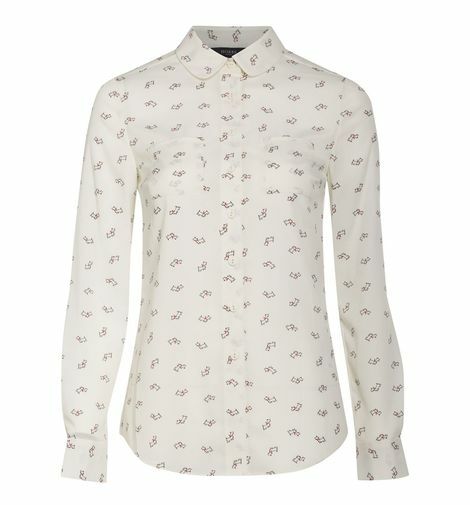 Now £9, was £35, love the shoulder detail which is great for me as I have narrow shoulders to it helps balance me out. I think this would look great with the skinny jeans or high waisted shorts and tights. In terms of a cheap everyday top that can be worn under anything, I like this pleat neck t shirt which is only £7, again, great for widening narrow shoulders and could be worn with anything, or under other more see through tops. Oasis are also doing an extra 10% off sale items at the moment using the code CHRISTMAS10. Right, on to more "in keeping" brands now, and I've spotted some great deals over at Pret-a-Mummy's fav shop, Baukjen. I really love knit dresses as they look smart, can be thrown on and are a great alternative to jeans as relaxed everyday wear, whilst looking smart too. I love the versatility of this sparkly Iris jumper dress which is lovely and comes in blue and silver. 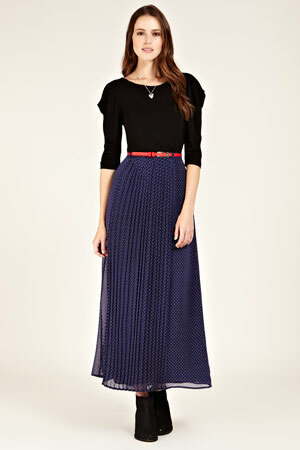 I love the idea of wearing this over skinny jeans or just on it's own with tights and boots. I think the silver version would also work in the evening, though I suspect it might wash me out a bit so I'm going for the blue version. I'm also tempted by the Zoe Knit Dress which is £69.30 and is again very versatile, perhaps more so than the Iris dress as it's not sparkly and perhaps a bit less scratchy. I think this would look great with the leather wrap belt I bought from Baukjen a few months ago. In keeping with knitted dresses, Karen Millen have some good offerings this season, with a few pieces I actually bought on Christmas eve, though I'm going to have to take them back for a smaller size. I love this Block Stripe Knit dress, was £110 now £55. Again, a great alternative to jeans, comfortable and can be dressed up or down. the skirt section of the dress is lovely and fitted whilst the top section can actually be removed and worn separately. There's another Karen Millen Dress that I like, this peplum knit dress but I'm a bit unsure as to when I would actually wear it. I'm also not sure about the stripes on the skirt as I suspect they are not majorly flattering owing to their horizontal nature. Still, it looks smart. On an aside, most stuff in Karen Millen is dry clean only but I reckon these knits would get away with a delicate wash (don't quote me on that). And last but not least, I love relaxed shirts at the moment, to be worn over jeans or black trousers, I quite like this Hobbs shirt, though I haven't seen it in the flesh, but it looks smart and comfy too. Not particularly bargainous at £65 but lovely nonetheless. Anyway, I'm bobbing into Leeds tomorrow to take a few things (and by that I mean all my Christmas pressies) back for an exchange, so I will keep an eye out for additional items! 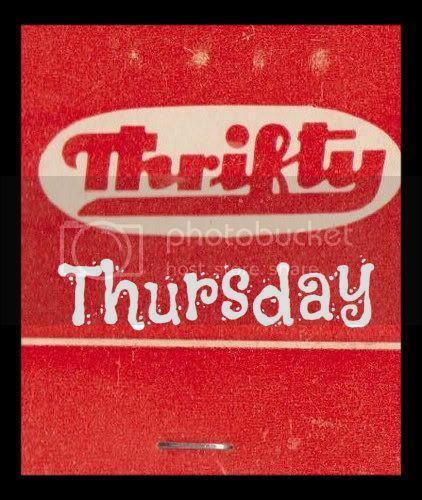 Have you spotted any sales bargains this year?